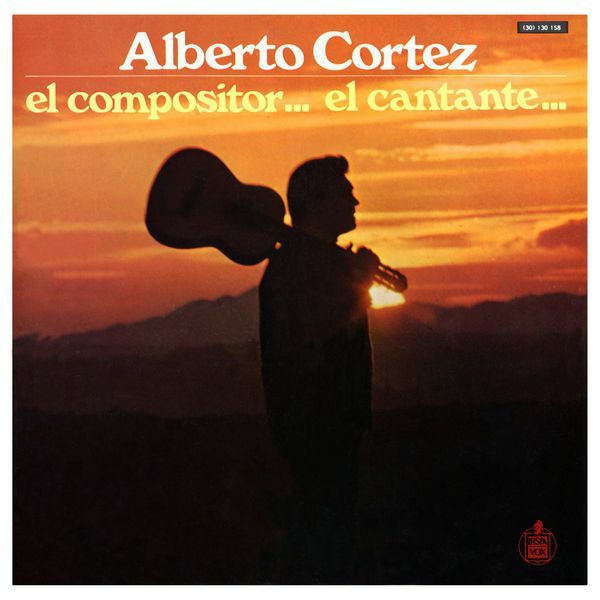 Alberto Cortéz, Composer, MainArtist Copyright : 2014 WARNER MUSIC SPAIN, S.L. 1969 The Copyright in this sound recording is owned by EMI Music Spain, S.A.
Alberto Cortéz, Composer, MainArtist - Rafael Trabucchelli, Producer - Cesar Gentilli, Arranger Copyright : 2014 WARNER MUSIC SPAIN, S.L. 1968 The Copyright in this sound recording is owned by EMI Music Spain, S.A.
Alberto Cortéz, Composer, MainArtist Copyright : 2014 WARNER MUSIC SPAIN, S.L. 1985 Grabación sonora original EMI Music Spain, S.A.
Alberto Cortéz, Composer, MainArtist - Rafael Trabucchelli, Producer - Cesar Gentilli, Arranger Copyright : 2014 WARNER MUSIC SPAIN, S.L. 1969 The Copyright in this sound recording is owned by EMI Music Spain, S.A.